A solid state type Fuel pump that operates by moving a stainless steel plunger inside a brass cylinder, with no seals or diaphragm to wear. 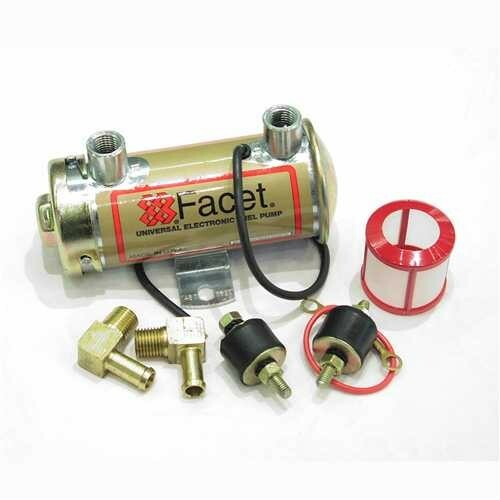 Incorporates a replaceable 74 micron fuel filter and a magnet to trap metallic particles. Suitable for front or rear mounting.. Negative earth. Contains fuel pump, unions, moutings & spare filter. 35gals/hr.